When it comes to choosing a Highlands REALTOR® choosing one who has experience and a solid knowledge is important, especially for buyers. While access to the web is a great way to preview property seeing it in person is still the way to go when it comes to choosing a home that is right for you. The old saying “looks can be deceiving” is extremely accurate for homes that are displayed in brochures or on the web. Rooms can be smaller or large than they appear in photos of Highlands homes and of course photos rarely display issues if they exist. A Highlands NC REALTOR® that gets out and previews existing inventory and homes that are new to the market is essential for a true and honest perspective for buyers. When you begin your search for a home in Highlands NC your result will be better with someone who knows the market inside and out. 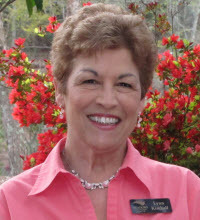 Contact me, Lynn Kimball, today to learn more about buying Highlands NC real estate. My goal is to educate my clients on the market and give them perspective on what is available, what homes are worth and where the best deals are located.